Happy Friday to you! My boys have been on fall break, so we've been enjoying a few lazy days of no school or schedule, and my three-year-old has loved having his brother homes all day! Today, I'm back with Tanya at twelveOeight. I have yet another dollar store Halloween craft to share. 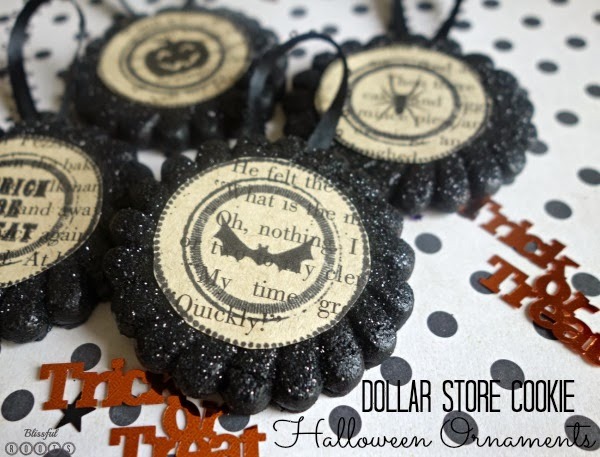 Last month I shared my Halloween ornaments made from dollar store cookies. Come stop by twelveOeight to see what dollar store item I used for this project. Can you guess what it is? Click here to see my entire post. 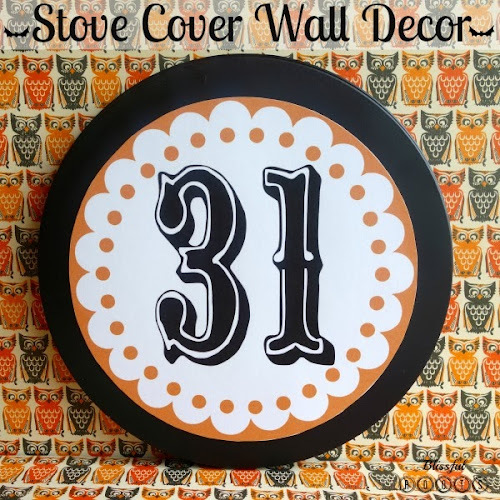 I have the supplies you'll need, the instructions, and you can download the '31' image I used on the project. And in case you missed them, here are the dollar store cookie ornaments I did last month for Tanya. Click here to see more.